Meet the governor — of the fleet. 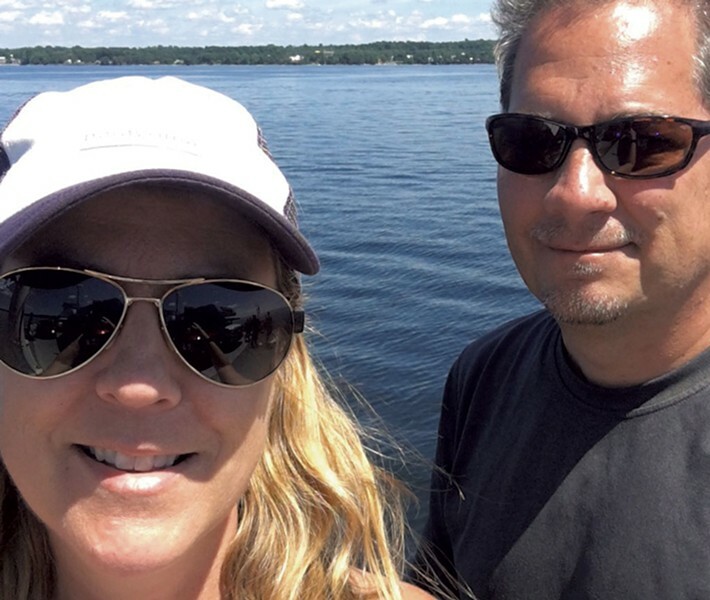 Phil Scott — no, not that one — and his wife, Tricia, are bringing a boat-sharing service to Lake Champlain. Beginning this summer, members of the Champlain Fleet Club can reserve and use four different powerboats that'll be docked in Malletts Bay in Colchester. Scott, who is not related to the governor of Vermont, says his business model is a "worry-free alternative" to buying a boat. "A lot of people are getting used to [shared ownership] with things like Zipcars," Scott said. "This is just another form of that. I equate it more to, like, a country club for boating." Members pay a $2,400 initiation fee that can be sold or transferred if they decide to leave. Then it's $3,000 to $3,600 a year, depending on the membership tier, for unlimited use of three bowriders and a pontoon. Each is outfitted with towropes and water skis, Scott said. The club will train its members to captain the boats, Scott added. The vessels will be docked at the Bay Harbor Marina, where members can use the clubhouse bathrooms, showers and sitting areas. The Scotts take care of the rest: insurance, maintenance costs, winterizing and storage. The only additional charge is for gas. Though summer feels a long way off, Scott hopes to have the boats in the water by May 15. To guarantee access each weekend, membership is capped at eight per boat, meaning there are a total of 32 spots available during the club's first year. Scott did mention the possibility of expanding the fleet, with more boats docked in Burlington or somewhere such as Shelburne or South Hero. Similar clubs have had success on New York's Lake George and in Montréal, so Scott is confident the concept will appeal to Vermonters. "It probably makes more sense in an area with a limited season, because the investment in owning a boat is so high," Scott said. "There's most definitely people that want to get out on the water. This is a more affordable option, with less hassle."